Turning Vision Into Action: PLC and PD: Essential Structures Required! 1. Teacher collaboration as the sustainable form of professional development. The first design issue is to create a mindset and culture of teacher collaboration as a requirement of professional development. Schmoker (2005) points out that extensive evidence from the research community indicates unequivocally that the “right kind of continuous, structured teacher collaboration improves the quality of teaching and pays big, often immediate, dividends in student learning”. Furthermore, Sowder (2005) cites teacher communities of practice – that is, teacher teams working together to professionally develop one another – “create, expand, and exchange knowledge about their practice,” which in turn leads to a more authentic and subsequent change in actual classroom practice. Additional research has repeatedly concluded that teacher isolation has adverse consequences for students, teachers, and for any effort to improve schools (DuFour et al, 2008). All educators [Faculty and Administration] are organized into learning teams. Each team has a skilled facilitator to guide the team in establishing and pursuing [student] learning goals. Teams meet during the workday at their school two to three times per week. … In team learning, less experienced educators interact with and learn from more experienced educators on the team. As all educators on the team become more skillful, they reduce or eliminate the variations in performance and begin to take collective responsibility for the success of all students, not just their own. 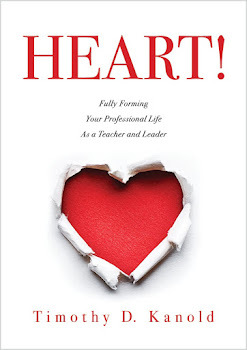 In this new and emerging paradigm of professional development, the term “professional development” means “a comprehensive, substantiated, and intensive approach to improving teachers’ and principals’ effectiveness in raising student achievement” (National Staff Development Council, 2008 p. 6). This new paradigm for professional development envisions teachers and specialists collaborating interdependently to deepen their knowledge of pedagogical content and relational competencies, and expects action on that knowledge with application to practice. Principals play a crucial role by bringing a coherent focus to teacher knowledge capacity development and limiting the amount of new knowledge the teacher team will be required to pursue in a given year. 2. The provision of Adequate Time as an issue of ongoing PLC professional development. A second PLC PD design issue is the provision of adequate time for professional development. Advocating for and insuring quality time for collaborative teacher learning within a grade level or course is the responsibility of the school leader. Finding ways to make more effective use of the time currently available and seeking ways to enhance time available - as part of the teachers' normal work day - is an essential professional development design structure that must be in place. Time is often the toughest challenge principals and teachers encounter as they attempt to find time for ongoing weekly professional development activities in the already-crowded school schedule. Teaching children is a complex activity that is learned through knowledge sharing, coaching, and field based experience. Teachers as professionals need time to reflect on the success and failures of their daily lessons and weekly assessments, with others who are working toward similar grade level or course goals. By building time for professional development into the regular school day, you convey a message about the importance of continuous and on-going learning. Failure to participate in PLC professional development is not an option. and takes you to the third non-negotiable aspect of PLC PD. 3. Equity and Access as an issue of professional development. A third professional development design or process issue is to ensure teacher equity and access to professional development and learning experiences. Failure for all teachers and administrators to participate in the ongoing PLC team learning process is not acceptable in a PLC as it will cause a major drift into practices of inequity and variability in teacher and administrator confidence to implement the goals of the PLC PD. Ultimately, the professional development question for the school Administrator is not as much about the provision of time as it is: How will you ensure the most effective use of the time dedicated to the teacher learning team for professional development? This question requires school administrators and teachers to have a well-focused professional development plan for the content work of the ongoing and collaborative teacher learning teams. 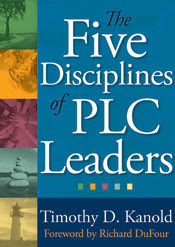 I will discuss these high leverage PLC team content activities in the next blog entry. For now the question must become, how can the work of your PLC PD teacher teams and school leadership teams enhance the full engagement of all adults toward the daily work for effective teaching, learning and assessment of your students? This was a big challenge. In short, safeguarding a smooth logical flow of activities to promote cognitive construction of knowledge for the participants was not a bed of roses for us.